Looking for some Valentine’s Day date night ideas in Denver, CO? You can always head to Denver escape room for a double date, or you can explore one of Denver’s many museums. But when it comes to cute Valentine’s Day date ideas in the Aurora area, you’ve come to the right place. This guide from Mile High Acura has you covered! Check out our date night ideas here. Stray away from the traditional Valentine’s Day dinner by visiting a winery or microbrewery. Stem Ciders stands apart because it brews fruity cider. Plus, Stem Ciders offers a variety of flights and tasting options for you and your date. On the other hand, Balistreri Vineyards is hosting a “214 in the Cellar” event, which includes a meal and wine tasting featuring six courses paired with various wines. Of course, if you choose this date night idea, you’ll want to take an Uber or Lyft home. Laugh the night away at one of the Comedy Works locations around the Highlands Ranch area. Or catch a classic burlesque and comedy show at the Clocktower Cabaret. Or buy tickets for for a show at the Bug Theatre Company! No matter which show you choose, you and your date will be in for an entertaining night! Of course, if you’re looking for more traditional Valentine’s Day date ideas, consider taking a carriage ride along LoDo’s cobbled streets, or plan an upscale dinner at Beatrice & Woodsley or Colt & Gray. Enjoy Valentine’s Day in Denver with Mile High Acura! 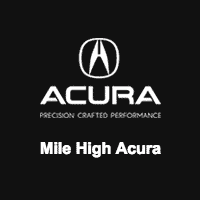 Connect with Mile High Acura for all of your automotive needs, or even for more information on what to do around Littleton! And wherever these Valentine’s Day date ideas take you, you can rely on us for fun around the Mile High City. If you have any questions – or if you have date night recommendations – do not hesitate to contact us online. Whether you’re a fan of Modern Art, prefer a walk with nature, or want something truly unique to jazz up your day trip to the Mile-High City, you’ll find it in our list of must-see museums in Denver. Check it out and, if we’ve missed something good, leave a message in the comments section below…. When is the Cherry Blossom Festival? What are the Best Summer Hikes Around Denver?